Jean Dujardin, Mélanie Laurent, Noémie Merlant et al. France 1809. 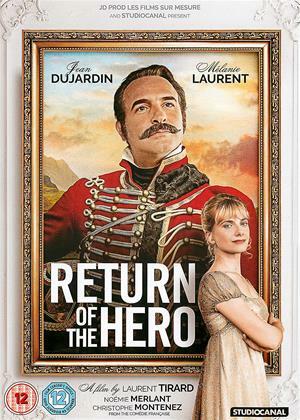 The charming Captain Neuville (Jean Dujardin) is set to marry Pauline when war breaks out, forcing Neuville to depart for the battlefield. After not hearing from the captain for months, Pauline soon starts to become ill with worry, pushing her sister Elisabeth (Melanie Laurent) to write fake letters on the captain's behalf. When Neuville returns home unexpectedly, he is welcomed in glory but in truth is a war deserter and an opportunistic coward. A suspicious Elisabeth is determined to expose the real Neuville and the two imposters start a ruthless fight; conspiring against each other using the best tricks they can find. I would rate this 3 & a 1/2 out of 5. Any French comedy i usually enjoy & that was the case with this. It's lightly amusing all the way through & watchable .Well acted & overall i cannot fault anything.